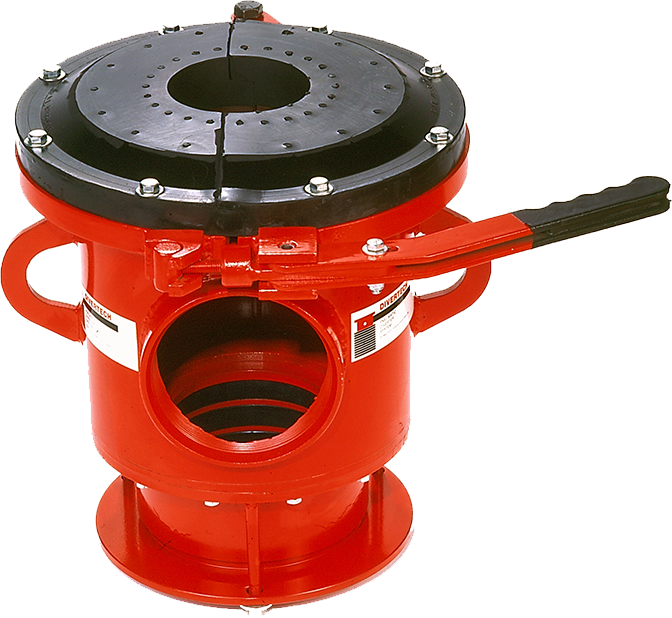 The 302 Series Diverter is manufactured to work on your casing. It can be flanged to casing, threaded on casing, or can be made up with the Compression Lock System. The Compression Lock System is simple and foolproof. Simply slide the Diverter over the casing and tighten 3 to 6 bolts on the compression ring. The enclosed rubber rings are then compressed around your casing, providing a slip-proof lock and seal on plastic as well as steel. 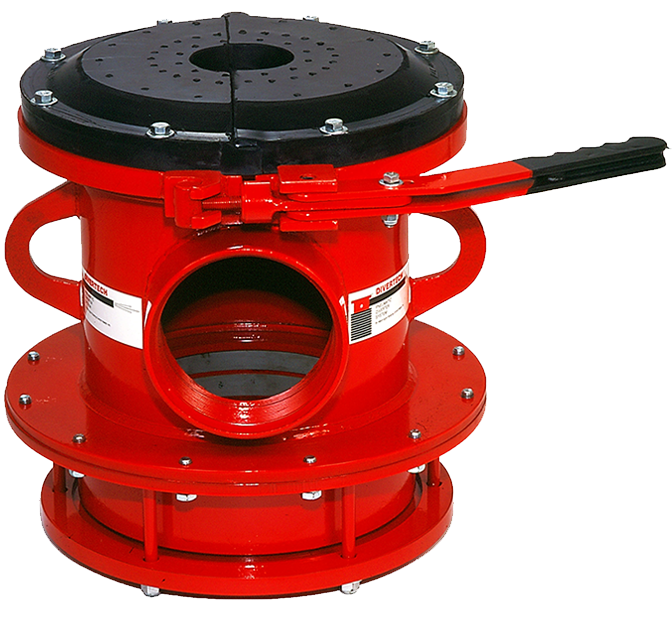 The 302 Series Diverter is manufactured to utilize the 3010 Series Stripper Rubber. Because of the 3010’s two-piece construction, the bit and/or hammer can be lowered into the casing by simply opening the stripper rubber, passing the tool and closing back around the drill pipe. Drill cuttings are now contained and diverted to the desired location through the flow line.